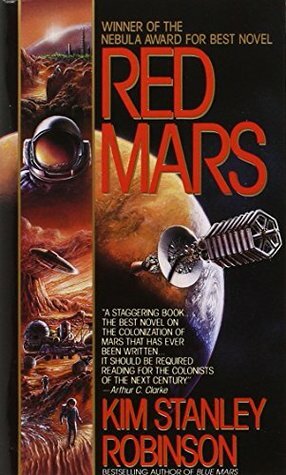 When reading author Kim Stanley Robinson’s 1992 Nebula award-winning novel Red Mars, I made a decision I rarely consider. I stopped reading before I finished. Yes, it was that dull. The book is actually the first in the Mars Trilogy describing the colonization, terraforming, and the final result of turning the fourth planet into an Earth-like environment over several centuries. So what was so dull about the novel? I mean, the first part deals with passion, jealousy, and murder, so you’d think it would be exciting. It has to be Robinson’s writing style. Even during “the action,” the presentation and characters were about as thrilling as watching grass grow (especially in early March in Idaho). The story is told through the points of view of several of the 100 initial colonists of the red planet, but their lives, even aboard a spacecraft and on the surface of Mars, is so ordinary. I didn’t particularly like or relate to any of them. I’d heard of the television show Firefly for some time, so when I got the chance to rent the entire series from my local public library a number of years ago, I jumped at the chance. Needless to say, it was magnificent, a sort of science fiction meets western theme, with sinister, bloated government conspiracy thrown in. Joss Whedon not only created a (rather short-lived) legend, but unwittingly presented the world with an anthem for the libertarian party (which is very much what Whedon isn’t). Firefly, we hardly knew ye. Yesterday, again at the public library, I happened to chance upon the “epilogue” of the too soon canceled classic, Serenity (2005), and no, not the 2019 film currently in theaters by the same name which I have no intention of seeing. I became aware of author Keyan Bowes‘s short story Lepers when I received it as part of the latest newsletter from Mysterion Magazine. Since I’m interested in having at least one of my short stories published by that periodical, I thought it might be a good idea to see what they think is acceptable fare. …an ezine of Christian-themed speculative fiction edited and published by the husband and wife team of Donald S. Crankshaw and Kristin Janz. We seek quality speculative fiction with Christian characters, themes, or cosmology. Join us as we rediscover the mysteries of the faith! Lepers is a little over a thousand words long, qualifying it for something just a tad longer than flash fiction. It chronicles the brief encounter between Vijay and his former friend Raj, who he was told had died while studying abroad, but in fact, has become something like a zombie. I finally got around to seeing Star Wars: The Last Jedi on DVD. I checked it out from my local public library because, if I ended up hating the film, I could say that I didn’t waste a penny on it, or give up my hard-earned bucks to Disney. I have to admit that I didn’t have the best attitude as I slipped the disc into my PC’s DVD player, because J.J. Abrams went on record as saying anyone who didn’t like “Last Jedi” were threatened by women, as if there could be no other possible reason for not liking the film. Both director Rian Johnson and producer Kathleen Kennedy have gotten some heat as well, but in the latter’s case, it was mostly over the Han Solo movie, which I am surprised to find is still playing at some local theaters. 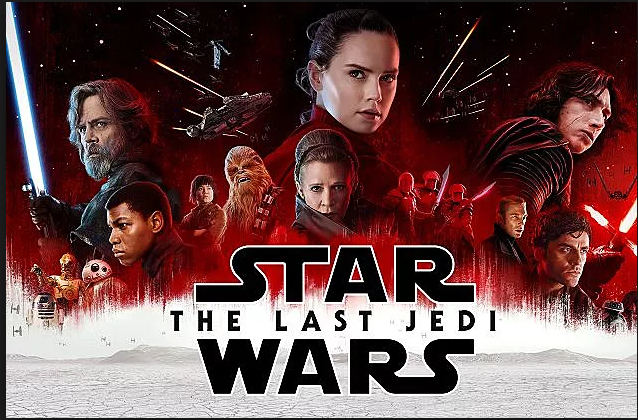 Since “Jedi” has been out for roughly seven months now, I’ll assume almost everybody (besides me) has seen it long ago and I’ll load my review with spoilers. First off, the obviously stupid/disappointing stuff. 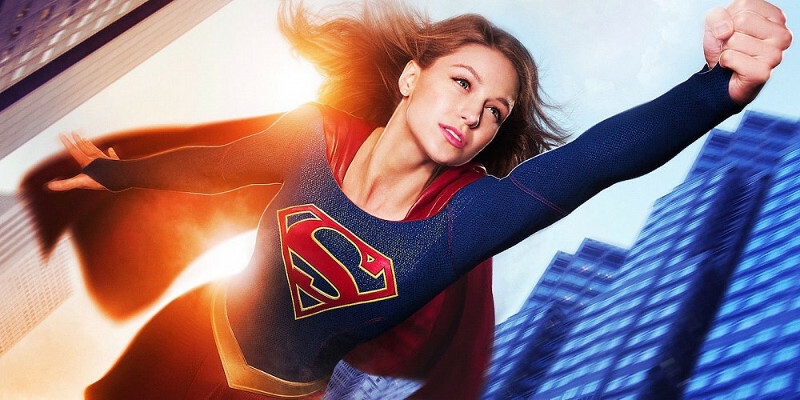 Now that the television series Supergirl has moved to the CW from CBS, giving it a second chance at life and a second season, I thought I’d dust off my review of the series pilot, which I wrote last year for another blog. I hadn’t originally intended on watching the pilot episode of Supergirl starring Melissa Benoist in the title role, but it was online, it was free, so I figured, what the heck. I didn’t expect to like it all that much, but I was curious how CBS was going to adapt decades of Superman and Supergirl canon. My reaction is mixed. I’ve read a few of the other reviews of the pilot, both before and after I saw the episode, and they range from “good but not perfect” to “triumph for everyone wanting a strong female hero for a change”. You can see examples at Yahoo News, IGN, The Mary Sue, and The Los Angeles Times. I’m repurposing another review I posted sometime back on another blog. 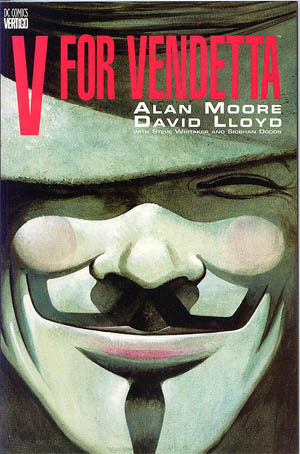 When I wrote this review, I hadn’t yet seen the film V for Vendetta (2005) starring Natalie Portman and Hugo Weaving but I just finished Alan Moore’s and David Lloyd’s graphic novel (originally a ten-issue comic book series) and thought, given the wide use of the Guy Fawkes mask by “hacktavist” group Anonymous and some protesters with the Occupy Wall Street movement (which is worn in both the comic book and film versions of the story by the main character), that it was high time to look at the source material for these modern, real-life responses to what we think of as oppression in our world. The original comic book series was developed and published in 1985 by writer Alan Moore, a self-proclaimed anarchist, and artist David Lloyd. Essentially it is one in a long series of dystopian dramas set in the near future (the late 1990s in the comic book series), this time in England. A nuclear war has destroyed much of the developed nations of the world but left England untouched, at least directly. In response to the war, a totalitarian government has come to power, styled after the Nazis, and has seized total control of the country. Much like Orwell’s 1984, omnipresent government surveillance observes the public, while a propaganda campaign continually feeds the citizens the usual “the government is on your side” messages, underscored by threats for thinking otherwise. Headed by “the Leader” who uses organizations called “Nose,” “Ear,” and “Mouth” as detection and communication conduits, and an information system called “Fate,” every aspect of an individual’s life is monitored and controlled. Yes I know, this is old. The animated film was released in 2010, but sometimes I don’t get around to watching things right away. Actually, I’m repurposing an old review I wrote for another blog. Time to let it out for a breath of fresh air. This review is loaded with spoilers, so if you haven’t seen this video yet and you want to preserve the mystery, don’t read any further. You’ve been warned. OK, it was fabulous, and I don’t give out compliments lightly. The suspense in this tale had even me twisting in my seat. I was actually nervous about how it all would come out. Go figure. 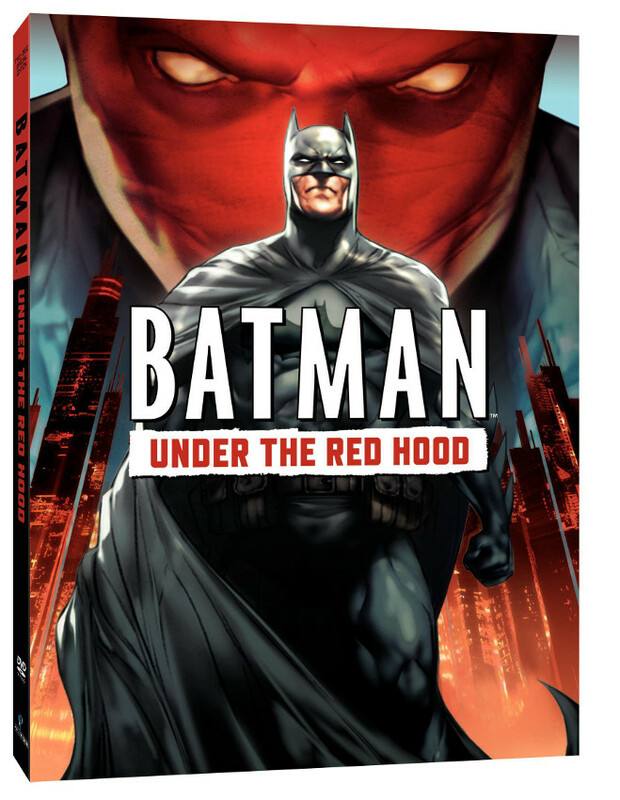 Several major pieces of Batman comic book history are adapted for this story. First, Jason Todd, the second Robin, being killed by the Joker. That happens right at the beginning and is the set up for everything else. Jason is beaten to a pulp with a crowbar, left for dead, and then, before Batman could get there, the place blows sky-high. No fake death. Batman gets to the site of the explosion less than a minute later and picks Jason’s broken body out of the rubble. He’s dead. No faking it. I watched the last episode of a CW limited TV series Containment last night and it was powerful. In fact, the entire series is extremely impressive, and I don’t say that much about television anymore. Containment is an American limited series, based on the Belgian TV series Cordon. The show was officially ordered as a series by The CW on May 7, 2015, and debuted on April 19, 2016. The series follows an epidemic that breaks out in Atlanta, leaving a section of the city cordoned off under quarantine and those stuck on the inside fighting for their lives. Oh, no wonder it seems original, it’s based on a television series from another country. Actually, the Wikipedia description hardly covers it. The show starts out at Day 13 of the containment with National Guard troops entering the cordon, the area is surrounded by barbed wire fences and stacks of cargo containers to form a solid barrier, to suppress a riot. Entry and exit to and from the cordon is controlled through certain of the containers guarded first by police, and then by soldiers as desperation escalates. Jump back to Day One. Supposedly, patient zero, is a young Syrian man who has just arrived in Atlanta. Sick, he goes to a hospital emergency room but leaves against medical advice…but not before infecting his doctor. The doctor dies horribly hours later, hemorrhaging blood from every orifice. Then our cast of characters are slowly introduced, a collection of individuals and families who, on the surface, seem to have nothing to do with each other, but a little at a time, how they are connected is revealed. 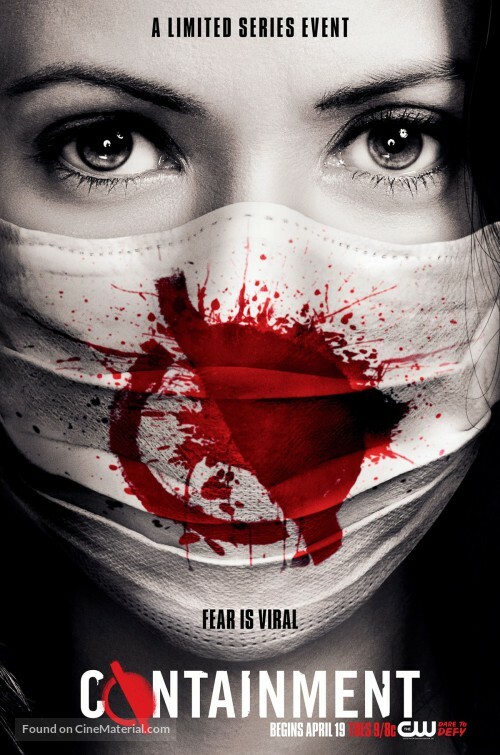 As the infection, supposedly a mutated flu virus that is 100% fatal in every case, spreads, Dr. Sabine Lommers (played by Claudia Black) from the Center for Disease Control (CDC) takes charge under federal jurisdiction, and orders a Cordon Sanitaire, around an area of Atlanta which includes the hospital. This traps 4,000 people inside with no way to escape, leaving them at constant risk of exposure and death. This was only supposed to last 48 hours, but then things go horribly wrong. 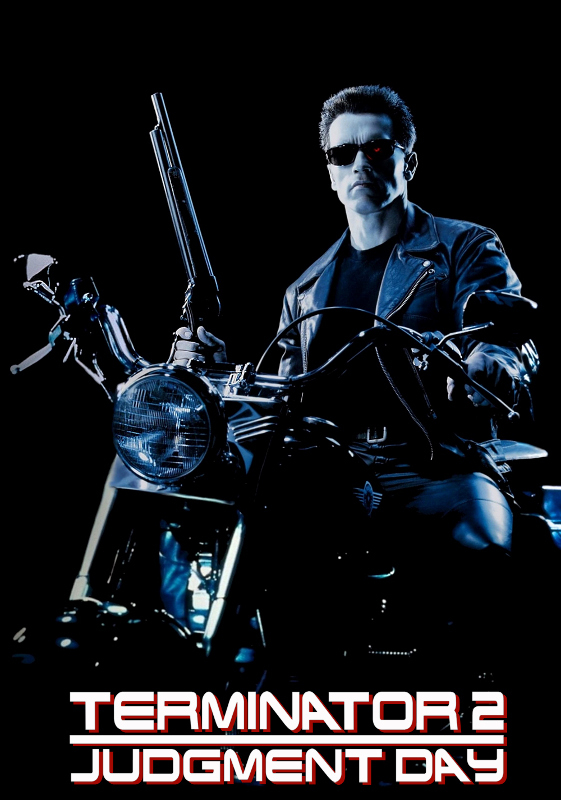 So July 3rd was the 25th anniversary of the debut of the film Terminator 2: Judgment Day (1991), and I have to admit, it’s my favorite movie from the franchise (although I’ll always have a soft spot for the original 1984 Terminator). So I decided to watch it again for about the billionth time, but with the idea that it was now a quarter of a century old. Each “Terminator” movie reset when judgment day, the day when Skynet decided to blow us all to hell, would occur. I can’t watch one film and think too much about the others because it gives me a headache. Arnold, of course, is Arnold. It’s why we watch the Terminator films, particularly the first two, to see him in his prime, to see him being totally badass as the Terminator. Since his CPU chip is reset to “learning mode” in the film, Arnold gets more of a chance to act than he did in the first film. OK, Arnold will never be known as a great actor (though he’s gotten better over the years), but his famous one-liners and the presence he brings to the role is more than worth the price of admission. Linda Hamilton turned in a great performance as the tortured Sarah Connor, struggling under the weight of knowing the future, and desperate to stop it, not only for her son’s sake, but for all the children. Edward Furlong was compelling as John Connor although there was no way he was going to pull off being ten years old. “We’ve got Skynet by the balls now,” is one of my favorite lines, although every time he screamed and his voice broke made me wish his balls had already dropped. One of my regular readers on my Morning Meditations blog took the time to read The Robot Who Loved God and render a detailed analysis. He emailed me a 35-page Word doc not only correcting my typos (I’m amazed I missed so many after making multiple passes through the story – all typos have been corrected here but not in my original story at A Million Chimpanzees), but offering numerous editorial comments. I’m including those comments here as well as my responses. I hope you’ll find them as illuminating as I did. Quotes from the referenced story will be indicated as such in bold text and the content itself in italics. 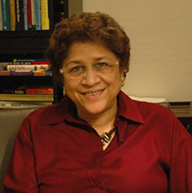 Editorial notes will be in red-colored text. My responses will be in regular text.